With geometrically satisfying details, the Pinnacle Light Rail Insert complements both traditional and modern designs. 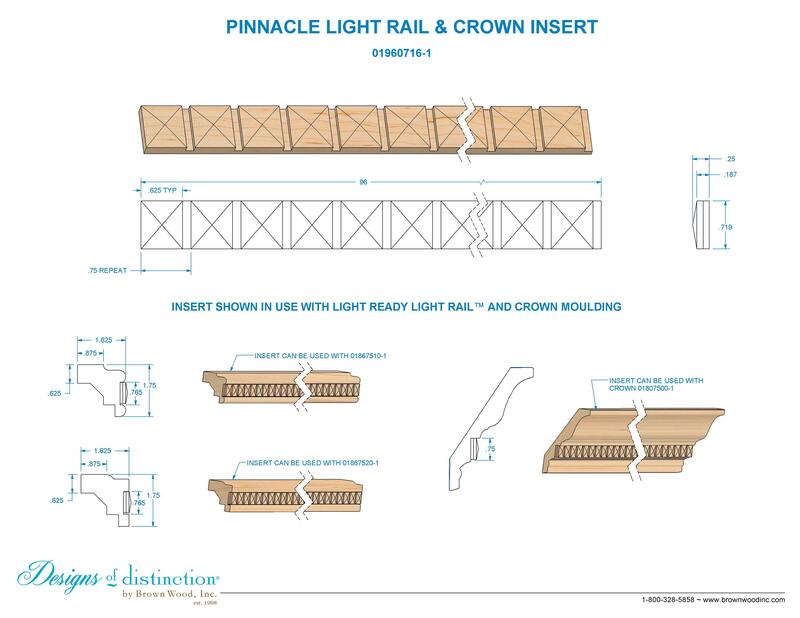 The Pinnacle Light Rail Insert adds beautiful detail on it’s own or when combined with our Traditional, Contemporary, or Crown Light Rail Moulding. Available in diverse stock species, the Pinnacle Light Rail Insert is part of our Pinnacle Collection.